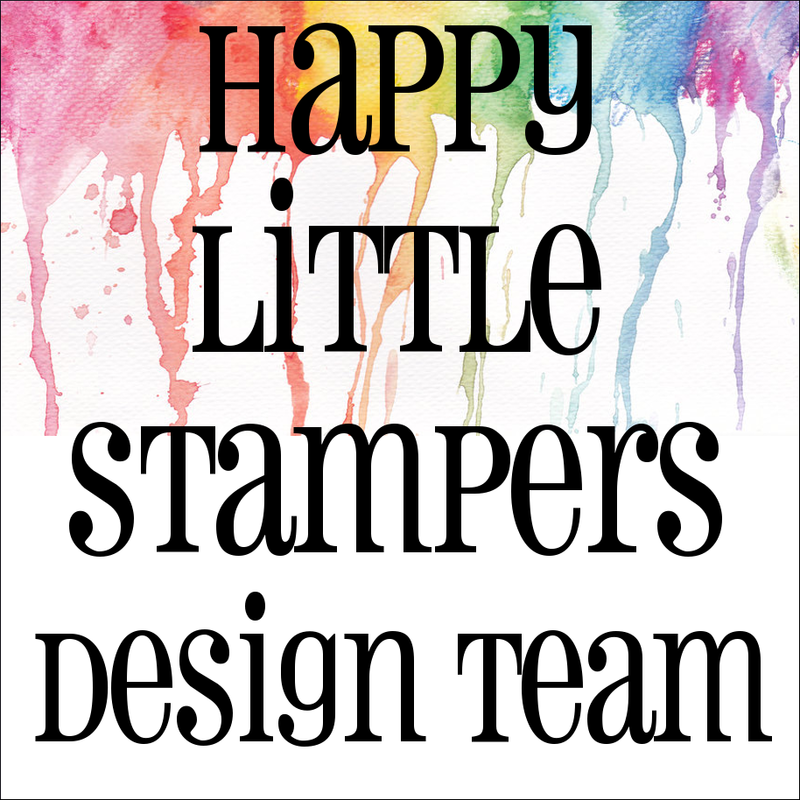 Happy Little Stampers Challenge this time is to use Stars. 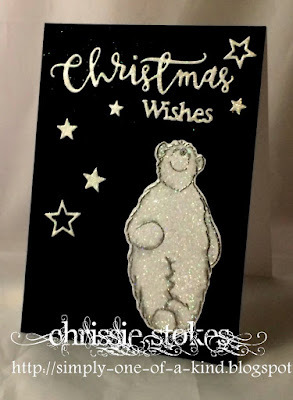 Here I used Hobby Art's bear again, (I think he's such a cutie) he has been gently shaded and twinkled and then accompanied by some Memory Box Stars and die-cut sentiments form Tattered Lace and Simon Says Stamp. The black backdrop has been embossed with the snowy EF from Sheena Douglass. 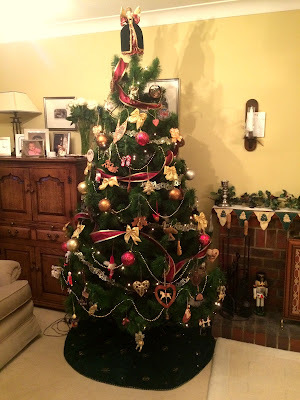 Today I managed to put up the Christmas Tree. It has been used every year since 1976, so this is its 39th Christmas... not bad going huh! We have decorations from all over the world, which we buy when we are on holiday, it reminds of the places we've been. There are flip flops from Hawaii hanging near to snowshoes from Quebec city, a cotton flower angel from Atlanta and a violin from Vienna from amongst lots of other lovely memories! This silvery white sparkly bear looks so cute against the dark background. 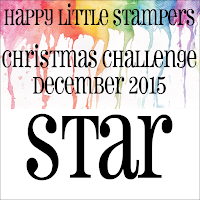 Loving the falling stars arranged around his sweet self.TFS & playing in HLS December Christmas Challenge. Love that bear in all his glittery goodness, Chrissie. Your tree is wonderful and so full of memories. That's the way I like them.